VIDEO: Colorado Police Agencies Collaborate to Release "Trick Shot" Video"
The Colorado Springs Police Department posted a "First Responder Trick Shot Video" to the department's Facebook page featuring police officers from CSPD, Parker Police Department, Fountain Police Department, Greenwood Village Police Department, Castle Rock Police Department, Jefferson County Sherriff Office, and El Paso Sherriff Office—performing trick shots with darts, hockey sticks, basketballs, and yes… firearms. 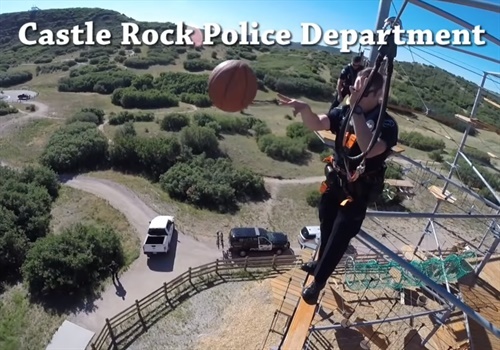 The seven-minute long YouTube video included the statement from CSPD, "Due to recent events and hard times by law enforcement in the state of Colorado, we decided to get together and produce a trick shot video. Thank you Colorado for the continued support of your Law Enforcement!"